Over the past few weeks, you have probably heard a lot about the latest app craze sweeping the world: Pokémon Go. 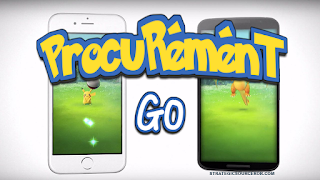 For those not familiar with this latest obsession, Pokémon Go is an augmented reality game launched the first week in July by Niantic an Alphabet spin-off company. Players (or trainers as they are called in the game) are tasked with finding and catching Pokémon that have been placed in various real-world locations. The game capitalizes on the Pokémon brand, which was started in the 90’s with video games, playing cards, and an animated TV series. For millennials who grew up with Pokémon, this game has tapped into the nostalgia of trading cards in the playground and waking up early to watch Ash “catch ‘em all” on the show. Pokémon Go is available on Android and iOS devices and has become one of the most downloaded and played apps on the market, surpassing some of the most popular apps in recent years, including Twitter and Candy Crush in the short time it has been available. Augmented reality (AR) refers to when computer-generated images are superimposed into the real world. In the game this happens when users are catching new Pokémon, the screen switches to the camera view and shows the creature in the user’s actual environment. Pokémon Go is by no means the first game or app to use AR technology. In fact, Niantic has created other mobile games in the past using the technology, but they did not experience the same success as their latest creation. Businesses have also experimented with AR technology, such as Yelp’s “Yelp-Monocle” which shows local restaurants and businesses overlaying a street view image. One of the most successful uses of AR has been Snapchat, where users are able to use different filters when taking photos to have different appearances (i.e. dog ears, misshapen heads, etc.). Given the wide-spread success of these apps, it is evident that consumers are ready for the next generation of app technology and Pokémon Go has set the bar for what is to come. While some brands have already started to integrate AR into their apps, we should expect this trend to increase in the coming months. Brands are going to be looking for developers with the knowledge and skillset to leverage AR and other similar technologies to meet the expectations of what consumers are looking for in apps, while at the same time trying to outperform what is already on the market. As a relatively new technology the individuals with the expertise to support this type of development are not as wide-spread as standard app developers; therefore, brands will need to target digital shops with specialization in this technology. From a marketing perspective, the demand for this type of niche technology know-how can be used as an argument for digital decoupling (the separation of creative from production of digital work). One of the key reasons why a brand would decouple their digital agency services is to ensure that they have access to individuals with the specialization in the latest technologies and platforms available. As the complexities of digital app development grows, creative agencies are struggling to provide the personnel with the skills to support their clients’ needs. When creative agencies are not able to meet a client’s development needs, they will leverage third party relationships with digital shops to fulfill these requirements. Decoupling eliminates the middle-man in this scenario and allows organizations to work directly with the developers responsible for producing their assets. The debate over whether or not a brand should decouple their agency services is one that has been discussed for years and not limited to the digital space, but as the needs for specialization increases, the benefits of digital decoupling strengthen. Pokémon Go is a little over a week old and it has already had an impact on the digital landscape, we should all stay tuned for what is to come as this game and the technology grow and mature. What does leadership in procurement look like?